Dyeing eggs with natural ingredients creates a beautiful result — sometimes a bit unexpected, but with tones that are truly stunning! This is a really fun activity to do before Easter. I will warn you in advance thou, since it was my first time, we called it our eggy experiment but the children were excited that anything was possible! It was part of the fun to ‘see what would happen’ and so the true end result was considered a success if the eggs ended up coloured. And we loved the end results, although Beatrice wasn’t so sure about the ‘black eggs’ (we may have left a few eggs in the blueberry dye too long!). We used red onion skins, frozen blueberries (much cheaper in bulk than fresh ones), cabbage skin, and leftover coffee grinds. I did this last year, while we were on holiday, so had to work with what we could get — but the list of items you can dye eggs with are endless, (tumeric! carrot tops! beets! spinach!). Admittedly, I am far from an expert, but I loved dipping into different websites and learning tips on natural egg dyeing. -white eggs — * they work best but other eggshells might make interesting effects as well! Hard boil the eggs and set aside. 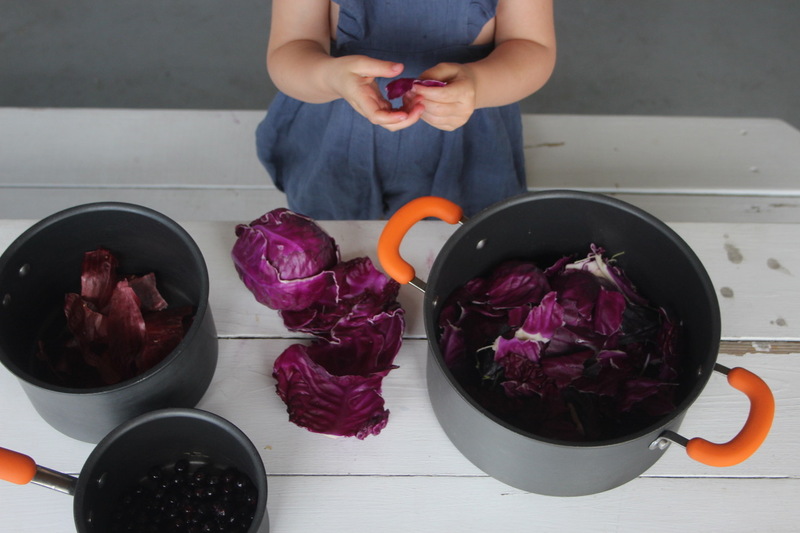 Then make a dye solution with one ingredient in each pot. Fill the pot with enough cold water to submerge the food item. Bring to boil then lower the heat and let simmer for 45-60 minutes. The liquid should be reduced by half and have a very dark hue. Strain the liquid into a bowl using a fine mesh strainer. Discard solids. Stir in 1-2 tablespoons apple cider vinegar and let cool. 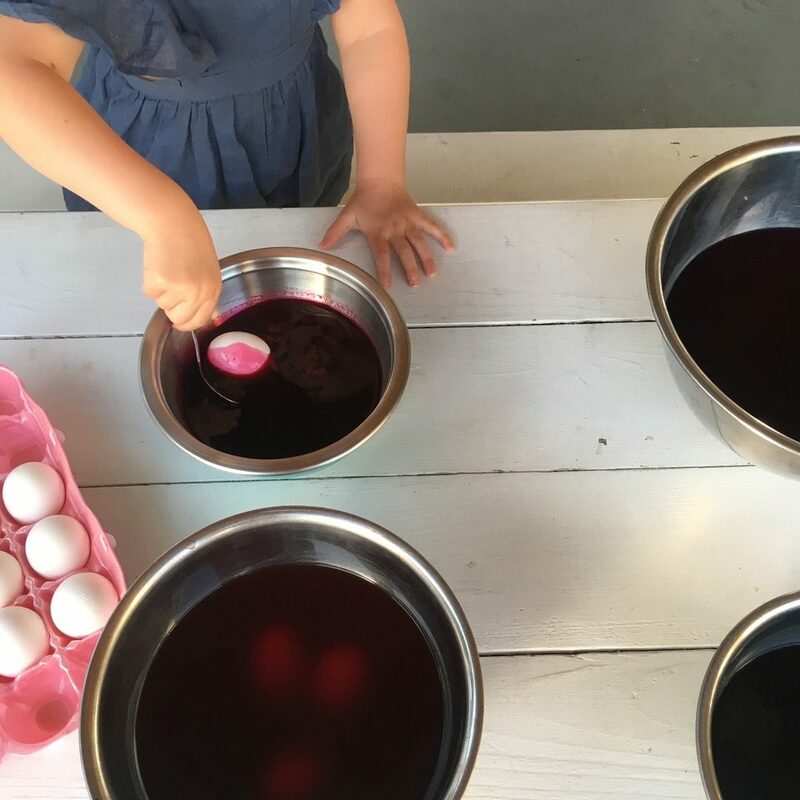 Using a large spoon, carefully lower the hardboiled white eggs into the dye. You can either keep the eggs in the solution for a few minutes or a few hours — it depends on how saturated you want the colour. We chose a few hours and just stirred them carefully from time to time. Let soak until they reach the desired color. Stir occasionally to ensure even color. You can use this dye for ages so you may want to save it. Once the eggs are finished, let them drip dry on a baking rack. To finish, we used a bit of olive oil on a soft cloth to polish the eggs which really amplified the colour and created a lovely finish. If you like matte finished eggs, then skip this step. 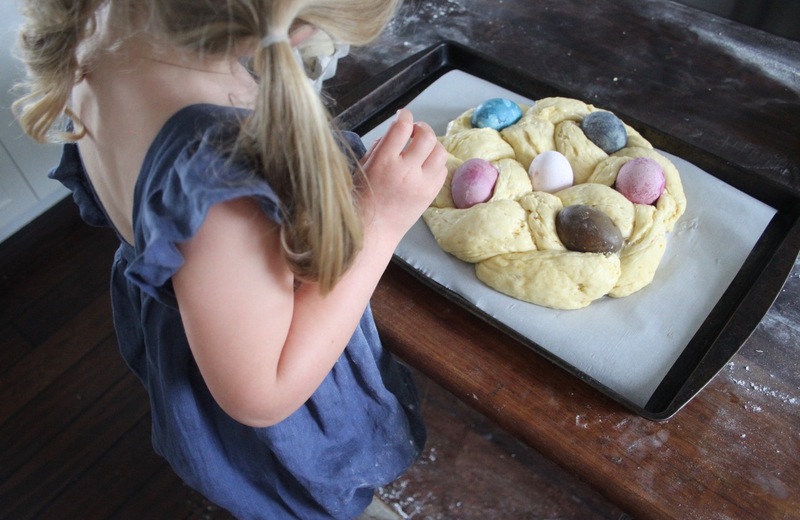 We made this yummy Braided Easter Bread with our naturally dyed eggs. 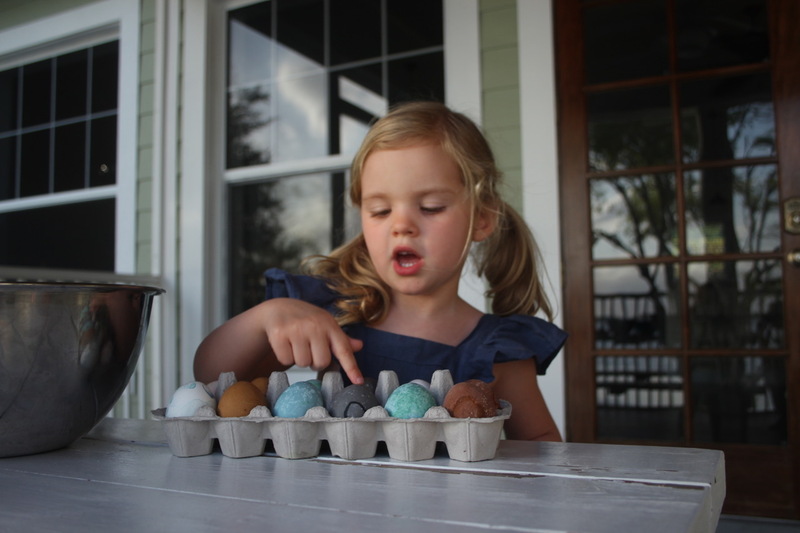 Alternatively, you could just use them to decorate, or enjoy as part of an Easter Egg Hunt. I also want to try these traditional Orthodox eggs, which are beautiful as well! 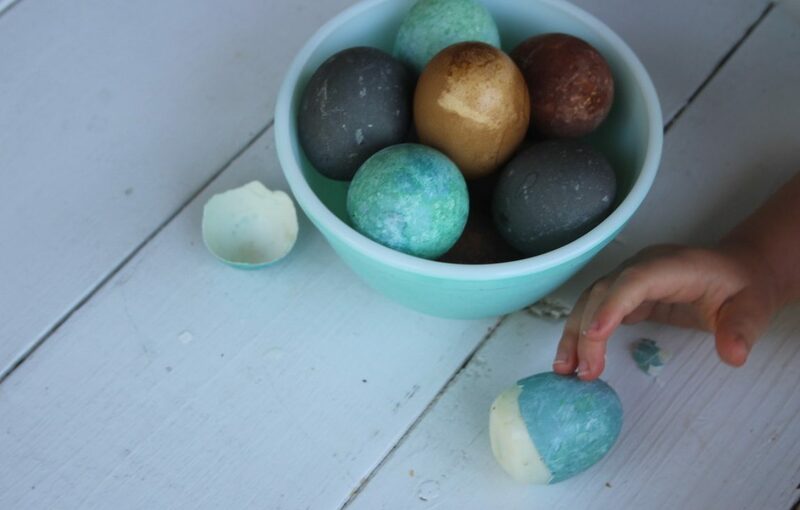 If you have had success in natural egg dyeing, we would love to know more! What ingredients did you use? And any tips are welcome to!